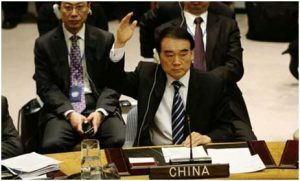 UNITED NATIONS, Apr 5 2019 – The Republic of China (Taiwan) was ingloriously expelled from the United Nations– and ousted from its highly-prized permanent seat in the UN Security Council (UNSC)– about 48 years ago. 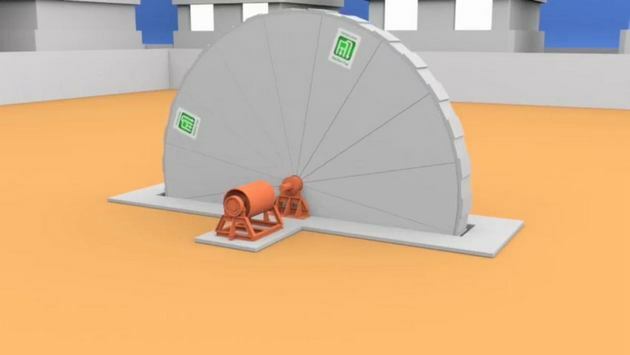 MANAUS, Brazil, Apr 5 2019 – A large steel wheel, 14 meters in diameter and 1.3 meters wide, could be the energy solution of the near future, generating 3.5 megawatts – enough to supply a city of 30,000 people, according to a company in the capital city of the state of Amazonas in northwest Brazil. An internal fluid, which expands through a chemical reaction in contact with an ink, drives the rotation that produces electricity without interruption for at least five years, say executives at Eletro Roda, a company in the city of Manaus that is marketing the invention and is building its first demonstration unit. “Installation of the unit costs less than half that of an equivalent solar power plant and occupies an area of just 200 square meters, compared to 50,000 square meters for solar and 5,000 square meters for wind power,” Fernando Lindoso, the director of the company in which he is a partner, told IPS. In other words, in the space occupied by a wind power plant that generates 3.5 megawatts (MW), 25 electro-wheels could be installed, multiplying the generating capacity by a factor of 25. In addition, it has the advantage of stable generation, “free of the intermittency of other sources,” said Lindoso, who estimated the cost of each 3.5 MW unit at around five million dollars, a price that is reduced for social projects. There are interested parties in Japan, India and other countries in Asia, as well as in European and Middle Eastern countries, based on earlier prototypes that never made it to market, he said. There will be a smaller version, generating one MW, “30 percent cheaper”, of identical dimensions, but with three tons of the fluid that is biodegradable, instead of the four used in the other model. 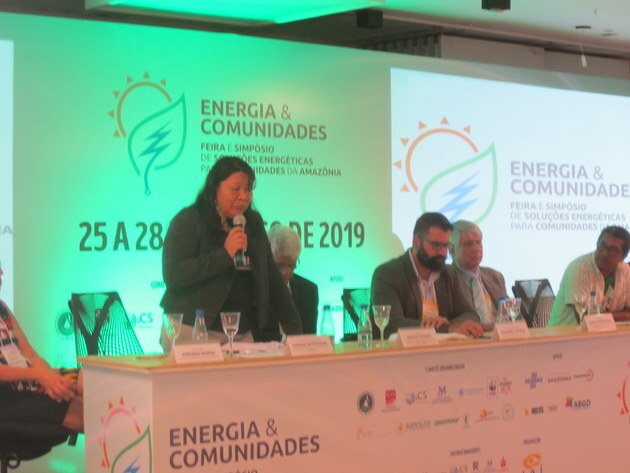 This was one of the alternatives presented at the Fair and Symposium on Energy Solutions for Communities in the Amazon, which brought together more than 500 participants and 39 companies and institutions in Manaus Mar. 25-28. “My favorite is the solar boat, a good example of how to find solutions,” said Sam Passmore, director of the Environmental Programme at the U.S.-based Charles Stewart Mott Foundation, one of the meeting’s eight international sponsors. An alliance for solar-powered transportation in the Amazon is propose by the Kara Solar Foundation, of the indigenous Achuar people of Ecuador, who since 2017 have built two 18-passenger boats powered by electricity from a rooftop made of photovoltaic panels. 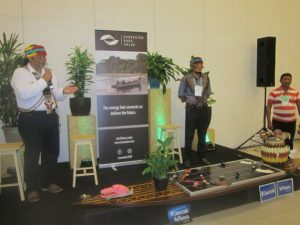 Kara means dream in the Achuar language and it is about maintaining the sustainable culture of river transport, as opposed to “the roads that threaten our territory, presented as if they represented development,” project coordinator Nantu Canelos told IPS during the fair. “We want to build 300, 400 solar boats,” said Milton Callera, technical director of the Coordinating Committee of Indigenous Organisations of the Amazon Basin (Coica). Riverside dwellers and indigenous people in Brazil are also seeking to “solarise” their boats, especially the small ones, dedicated to fishing and the transportation of a few people. The problem is where to put the solar panels on the so-called “flying boats”, without slowing them down. The discussions at the symposium, however, focused on the need to universalise energy. “There are still 500,000 people, or 100,000 families, without access to electricity in Brazil’s Amazon region,” according to Paulo Cerqueira, coordinator of Social Policies at the Ministry of Mines and Energy. The Light for All Programme, launched in 2003, benefited more than 16 million people, according to the ministry, in this country of 208 million people. But so far, isolated and remote communities, not reached by the power grid, have been excluded. There are also millions of families who do have electricity, but are outside the National Integrated System, including the entire state of Roraima, in the northeast, with 580,000 inhabitants, on the border with Venezuela, from where it received most of its electricity until the supply crisis that erupted in March in the neighboring country. Isolated communities in the state receive electricity mainly from diesel- or other petroleum-fueled generators. The slogan for such cases is to replace costly, slow and unreliable transportation fueled by fossil fuels on the Amazon rainforest rivers, and to prioritise clean sources of energy. Solar power is presented as the most feasible solution, since the Amazon rainforest is not windy. The exception is Roraima, where the state´s numerous indigenous people are studying the adoption of wind farms to help defend themselves from the impacts of the Venezuelan crisis. Autonomous solar generation projects are mushrooming in the Amazon, in indigenous villages and riverbank settlements, sometimes funded by non-governmental institutions and international assistance, such as the German Agency for International Cooperation (GIZ) and the Rainforest Foundation of Norway. As a result, companies such as Fabortec Solar, which installs photovoltaic systems and sells equipment, focused on designing and offering off-grid projects, incorporating batteries and equipment that ensure operation and maintenance by the users themselves. “The Amazon is a great market for those who don’t mind long trips and can work in places that are difficult to access,” a company technician told IPS. 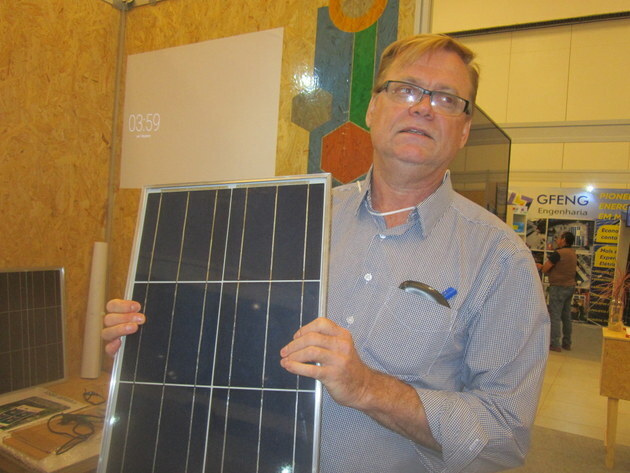 The expansion of solar energy in many parts of Brazil, not only in the Amazon, prompted Willi Seilert to design a plan to promote 1,000 solar panel micro-factories throughout the country. This could make the product cheaper and facilitate access by poor families and communities to solar energy, in addition to training, employing and generating income for nearly 20,000 people in the country, he estimated. That’s why he founded the I9SOL Institute, where the “9” stands for innovation. A 50-square-meter office, at least 10 people trained by two instructors, a glass-top table, an oven and a few tools are enough to produce small solar panels, he told IPS. “The main obstacle is the import of photovoltaic cells, which Brazil does not produce and which has to pay too high a tariff, because of a strange legal measure adopted in 2012,” he lamented. 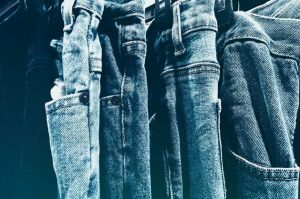 In addition to this, there are two industrial processes for processing silicon, and “the rest is packaging work that trained people can do without difficulty,” he said, before pointing out that this continues to be the case in China and India, which provides employment for millions of workers, especially women. The project is to be launched in Teófilo Otoni, a city of 140,000 people in the southeastern state of Minas Gerais, whose mayor plans to employ prisoners nearing release in the solar industry, Seilert said. There are more energy alternatives in the Amazonian region. Experiments with the use of oil from the babassu (Attalea speciosa) palm tree abundant in the Amazon and neighboring areas, and from andiroba (Carapa guianensis), a tree with oilseeds, for electricity generation were presented at the symposium. Railton de Lima, the inventor of the Eletro Roda, which he called a “voluntary engine for mechanical energy generation,” also developed a system for converting urban waste into charcoal briquettes to generate electricity, making it easier to recycle metals. This technology is already used in several Brazilian cities, including Manaus. Of Lima’s 28 inventions, more than half are already being used in the market, and others are being developed for energy purposes. 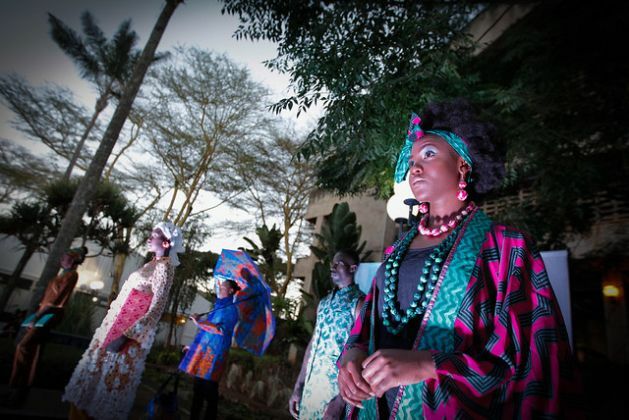 Creativity, which helps to seek more suitable alternatives, is also found in poor communities. “The idea of the right to energy is powerful” and stimulates solutions, said Passmore of the Mott Foundation. In the same sense, the diversity of peoples and communities represented at the Manaus meeting was “a very positive factor,” he concluded. 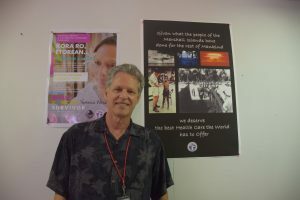 MAJURO, Apr 5 2019 – In Jack Niedenthal’s office in Majuro, there is an ominous reminder of the dark history of the Marshall Islands—once the site for dozens of nuclear tests conducted by the United States between 1946 and 1962. But it also provides a strong message about the future of island nation. “Given what the Marshall Islands has done for humankind, we deserve the best healthcare in the world,” reads a poster on his wall. “What you see here is what I strongly believe,” says Niedenthal, the secretary of Health and Human Development here. In fact, today the Pacific island nation’s main national income, aside from the sale of fishing rights to foreign firms, is the money the U.S. pays as compensation for conducting the nuclear tests through the Compact Trust Fund. Many of those who live on the islands where the nuclear tests where conducted suffer from cancer. These cases are in addition to the high occurrences of tuberculosis (TB), diabetes and leprosy that the health authorities here have to address. Niedenthal tells IPS that although the latter three diseases are not directly connected to the nuclear tests or radiation, the nation’s citizens, some 53,000, must be able to realise their right to good health and have the opportunity to live long lives. However, the resources to ensure that good healthcare is available to all remains limited. So, Niedenthal is adopting practical measures by integrating services to provide care for people suffering from two of the country’s most endemic diseases, TB and leprosy. From the screening of citizens for potential new cases, to consultations with doctors and nurses, the integration is supposed to mean better and more accessible services. “It’s a small place. If tomorrow there is an epidemic, it will affect everyone. So, [an integrated] programme will help us be better prepared,” Niedenthal says. The integration is a natural step in strengthening the healthcare sector here, but it should also include the sustained availability of services, say health experts. Without ensuring the latter, integration will neither result in significant improvement nor will it help eliminate the diseases, especially leprosy, says Dr. Arturo Cunanan, the head of the Culion Sanitarium and General Hospital in the Philippines and a world leprosy expert. “Ideally, this is how it should be. Care for leprosy should be integrated with the general healthcare services. It is the only way to ensure the care is available at every level of the healthcare sector—right from the village to the city. “If this can be done, a person who is affected, doesn’t have to travel far and wide to a specialised clinic or be dependent on a niche expert because every healthcare centre will have a person with some level of leprosy expertise. However, the two much go hand in hand because without sustained services and availability of that expertise, the integration cannot achieve anything,” Cunanan tells IPS. According to Cunanan, leprosy, is a “victim of its own success” meaning that due to the decreased number of cases, it is not a high priority with the governments anymore, even in countries were it is not yet eliminated. The low priority is reflected in the low resource allocation, inefficiency in the management of the programme besides lack of facilities and skilled staff. But while supplying integrated healthcare services promises to ease the management of the leprosy programme at an administrative level, it also can create scarcity of staff with specialised skills to treat leprosy. Sustainability, therefore, must be the key, Cunanan explains. 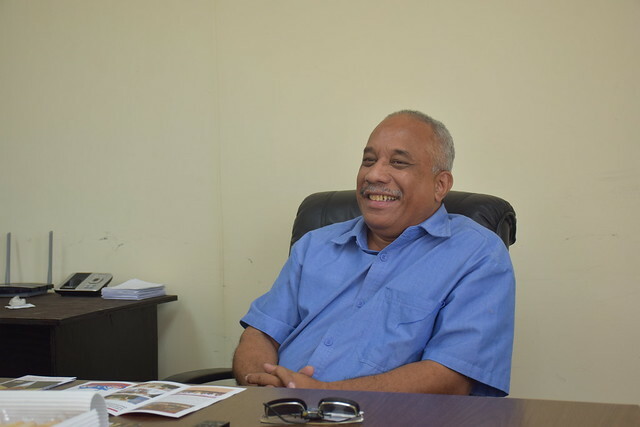 But Jefferson Barton, Deputy Chief Secretary of Republic of Marshall Islands (RMI), says that the government considers leprosy elimination a high priority. “Health and education are our top priorities and even in health, we are focusing on educating the Marshallese people, especially the children, about the biggest health issues,” Barton tells IPS. He, however, also assures that the country is willing to collaborate more with international experts, and donors such as the Sasakawa Health Foundation and its parent body the Nippon Foundation, to ensure better healthcare in RMI. Globally, the treatment of leprosy is free. Manufactured and donated by Novartis, multidrug therapy or MDT, is distributed through the World Health Organisation. But access to other services such as information about the disease, and credible, accurate and cleaned data on leprosy and TB is less than adequate—a fact that Niedenthal admits. He, however, believes that with support from the international community the country can overcome these challenges and ensure sustained healthcare for all. “A lot of Marshallese travel and work abroad. If they carry a disease, it will affect people there. So, when you give us money to control the disease here, you are investing in your own well-being,” Niedenthal says. KUALA LUMPUR, Malaysia, Apr 5 2019 – When the one-year anniversary of Malaysia’s historic presidential election outcome rolls around in early May, the wave of euphoria that followed it will be all but a wistful memory. The surprise outcome that ended 61 years of interrupted rule by the Barisan Nasional coalition party, brought with it fresh hope that winning Pakatan Harapan (Alliance of Hope) party would bring the “New Malaysia” – as it became known – the positive change many yearned for. So, why the gloomy mood now? One reason is Prime Minister Mahathir Mohamad’s failure to make good on many of his promises around political and institutional reforms. There were some early encouraging policy shifts initially but since then progress has been extremely slow. Another reason, for many in Southeast Asia’s most ethnically and religiously diverse nation, is the worrying rise of religious and ethnic intolerance. Signs of this trend of intolerance have been emerging for a few years now but have become more prominent as of pro-Malay rights groups and Malay based political parties – now in the opposition – have become more vocal about perceived threats to their interests. 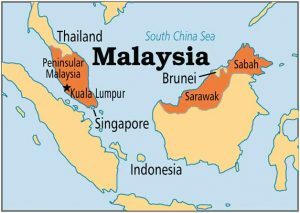 The Malays – who almost all are Muslim- are the country’s largest ethnic group comprising about 60% of the population. In December, Mahathir had to drop his pledge to ratify a UN treaty on racial discrimination amid intense pressure – from these groups who claimed it would jeopardise affirmative action policies benefitting them. These right-wing groups – such as Ikatan Muslimin Malaysia (Isma) – over the years have also mobilized again attempts to introduce laws and policies for gender equality and demonised minorities like Shia’ Muslims as well as LGBT people. Human rights defenders and civil society groups in Malaysia who have defended these rights have often faced intimidation and threats from these groups. 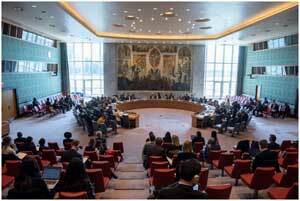 In Southeast Asia – and the world, for that matter – Malaysia is not alone. Group-based intolerance and anti-rights activism is a global trend that’s growing along with the power of right-wing populism that has ushered in regressive leaders from the US to Brazil to The Philippines. The State of Civil Society 2019, a newly-released annual report on threats to civil society globally over the past year, by civil society alliance, CIVICUS, shows that minority groups are being vilified by rightwing populist politicians, anti-rights groups and citizens who are being persuaded to blame those who have the fewest rights for their understandable concerns about insecurity, inequality, poverty and isolation from power. While the state traditionally has had a monopoly on repression in Southeast Asia, we are seeing anti-rights groups actively coming to the fore to target minority groups in a number of countries in the region. Beyond their campaigns to marginalize minorities, these groups have also have been able to influence the state to become more conservative. In Indonesia, we saw this playing out a few years ago with hardline Islamist groups such as the Islamic Defenders Front (FPI) – who have demanded that Muslim leaders formally adopt sharia law and label non-Muslims as “infidels” – mobilizing against the Christian former mayor of the capital city, Jakarta. Basuki “Ahok” Tjahaja Purnama was accused of insulting Islam after had accused his opponents of using a Quranic verse that suggests Muslims should not choose non-Muslims as leaders in order to trick people into voting against him. Following mass protests and pressure from these hardline groups, Ahok was charged and convicted for blasphemy. These dynamics seems to have influenced Indonesia’s upcoming elections this month with incumbent president Joko Widodo’s choice of a conservative Muslim cleric as his running mate, some say for one purpose: to split the conservative Muslim vote. Of course, by far, the biggest and most extreme flashpoint of religious and ethnic intolerance and persecution in the region has been in the nation of Myanmar. While the Muslim minority, particular the Rohingya, have faced discrimination for years, it escalated with the military-backed government’s passing of a raft of so-called race and religion laws ahead of the 2015 elections. These laws were lobbied for by Ashin Wirathu, vitriolic monk and leader of the ultra-nationalist Buddhist group, Association for Protection of Race and Religion (Ma Ba Tha), which has links to the state. 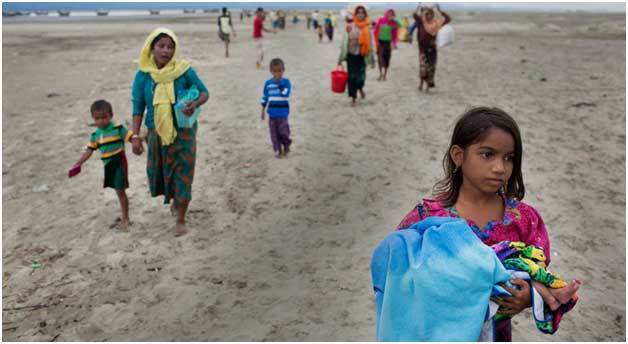 Since then we have seen the violent persecution and displacement of tens of thousands of Rohingya Muslims in Rakhine state. Hardline Buddhists have continued to use Facebook to fuel hate speech. Despite the influence of these anti-rights groups, civil society in Southeast Asia is pushing back. In Malaysia, human rights activists are leveraging media to counter the divisive ethic and religious rhetoric of right-wing groups and to call for a new national narrative which focuses on inclusion and diversity. In Indonesia, civil society groups are working closely with youth and moderate Islamic organisations such as Nadhatul Ulama – which has around 90 million members – to challenge intolerance and organize inter-faith dialogues while in Myanmar civil society has called out Facebook for failing to address hate speech that incites violence. These kinds of strategies – and other effective solutions to countering the widespread rise in the power of anti-rights groups and their impact on democracy in the region and internationally – will be high on the agenda when more than 900 civil society leaders and activists from around the globe meeting in Belgrade next week for International Civil Society Week, the world’s largest civil society gathering. While the growing threats are increasingly worrying, social movements and civil society organisations equally are mobilizing to rise to the challenge.